"The Prince Albert Fund project allowed me to gain substantial knowledge in international business, working for a large and successful Belgian company." 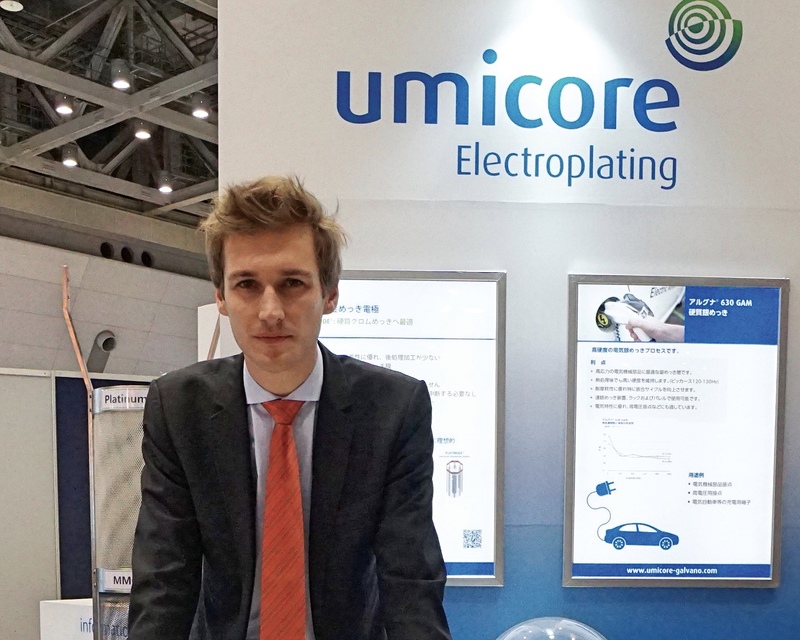 Adriaan De Geyter’s project at Umicore Japan consisted in building a structured sales organization and helping to develop the overall business. Umicore Japan already had a local structure, which, however, was mainly aimed at technical support. Change management was therefore an important aspect of the project Adriaan had to carry out. His objective was to implement organizational and cultural changes, to transform the company from a technical support oriented culture to a more proactive sales oriented culture. As a chemical engineer with a business and consulting background, Adriaan had a solid basic understanding of the fundamentals at the heart of this global materials technology and recycling group. This helped them tremendously for the project. However, this was his first contact with Japan and the specific Japanese business context, which is a very demanding environment in many respects, where relational culture is predominant. The Prince Albert Fund Project consisted of multiple facets, ranging from operational and commercial excellence over project management to business development and change management. For Adriaan, this proved a perfect introduction to the company’s global operations and to a very professional environment that gave him all the support he needed. “I always found Umicore an inspiring enterprise. Its conversion has been impressive, transforming from a mining and smelting company into a technology-focused global materials technology and recycling group, which is also very active in clean technology, spurring many positive innovations.” After the mission, Umicore and Adriaan agreed that he would pursue a career with the group, in an international position. 10,000 employees worldwide (2016). The Group dedicates most of its R&D efforts to clean tech solutions, such as emission control catalysts, materials for rechargeable batteries and recycling. Umicore has a long tradition of working with the Prince Albert Fund.